Are you looking for a simple and secure way to exchange your foreign coins and notes? With a service that’s focused on providing value and simplicity to customers just like you, we offer 2 dead-easy ways to send us your coins, dependent on quantity. If at any point you’d like any help or advice please don’t hesitate to e-mail or call to talk to one of our friendly team. Please make sure that you download our currency form (Download link: Cash4Coins Currency Form) and include in your package. For collections of 10kg or more, we’ll send a secure national courier to pick up your coins from your home or offices FREE of charge (UK only). You’ll receive a full receipt, and tracking code so that you can follow your parcel’s progress online. To benefit from this offer, your pick-up address must be in the UK, and the courier must be able to collect your coins during normal working hours. We also require you to download and include our currency form (Cash4Coins Currency Form) in your package. All courier collections are fully tracked and insured for your peace of mind. To arrange your FREE COLLECTION, contact us now. If your collection weighs between 5kg and 10kg, we use the ‘Hermes’ courier service. They offer offer a choice of over 4,500 authorised local drop-off locations throughout the UK (and in Ireland by arrangement). With NO CHARGE for this service, you’ll also benefit from extended opening hours at every drop-off point, and a full receipt for your package, along with a tracking code so that you can monitor the location and progress of your parcel. Contact us to find your local ‘Hermes’ drop-off point today and to receive your pre-paid packing label. Please note – your packing label must be attached to your package before we can accept it at our drop-off location. Download our currency form (Cash4Coins Currency Form), and include it in your package. As a commercial processor of coins and notes the minimum weight of currency we accept for payment is 5kg. However, if you have less than 5kg and would like to donate your currency to charity then we will accept it on the basis that this will be donated (by us) directly to your chosen charity. Once converted and donated to the charity of your choice the official donation reference number will be emailed to you. What’s your postal address for currency? You’ll find our postal address on our currency form and address label, both of which must be included in your package if you send coins to us in the mail. If you do not have access to a printer, you should write the address exactly as shown below on the outside of your package, and ensure that your full contact information is contained inside. For obvious security reasons, do not write Cash 4 Coins anywhere on your parcel. Please also write your email address below our address on the front of your package so that we can notify you when we receive it. Please note: all coins and cash are removed from this location on a daily basis for counting and processing at our central counting office. We welcome delivery in person of your sealed package during normal business hours, but we are unable to exchange coins for cash at this location. This address is only for secure receipt and storage of parcels on a daily basis. Watch our short video to show you how to pack your coins and notes. Find a strong carrier bag that has no holes, and place your coins inside. Secure all the way around with plenty of parcel tape. Now place inside another carrier bag and apply tape all the way around. Place your double-bagged coins in a strong cardboard box, and pack all the way around with scrap paper or any packaging material that stops your coins from moving around in transit. Ensure that your box is secured with lots of tape. You’d be amazed how easily coins can escape once they’re in transit, so don’t be afraid to be extra-thorough. Once your coins are packed, contact us and let us know the approximate size of your parcel. We’ll email you a pre-paid courier label which you simply print and stick to the outside of your parcel ready for collection. 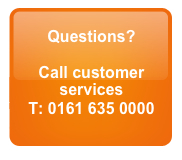 If you have any questions then contact us – we’re here to help. I have more than 50kg of coins. What should I do? For very large collections of 50kg or more, we will send a member of staff to collect your coins in person, and we’ll also provide the packing materials. Get in touch to arrange a collection. If you’re using boxes from copier paper, be warned that they’re not usually strong enough to hold more than 12kg each. Please do not exceed the maximum weight of 26kg for any parcel, and as an easy guide, if you can’t easily pick it up, neither can we! If you don’t have a box that’s strong enough for your coins, simply contact us and we’ll send you one suitable for over 12kg. A small charge of £2.75 to cover postage will be deducted from the final coin value for this service. We understand the importance of insurance for your peace of mind. Any package we collect is automatically covered up to a maximum value of £100 if the currency is lost in transit. This only applies to collections we have arranged, where collection has been confirmed by the courier. We are unable to cover loss due to inadequate packaging, so if in doubt, use more tape! If you need to insure your parcel for a higher amount, simply get in touch, and we will arrange the right amount of cover. When we receive your coin collection, it is weighed, counted and photographed in secure conditions. If you’d like to find out more about how we protect your coins, contact us today. Which foreign coins can I send? We accept any currency from any corner of the globe, including notes! We even change old UK, Irish and pre-euro European coins. Are there any coins you don’t accept? No. But some old coins can only be exchanged for a nominal or scrap value – these include some pre-euro European coins. We can exchange all Spanish bank notes, but only the most recently-issued Spanish Peseta coins. Earlier coins will be exchanged at scrap value only. How much will I get for my coins? We guarantee to offer the best price in the UK for any coin at any given time, with 100% customer satisfaction also guaranteed or we’ll return your coins straight away at our own expense. When your coins have been received, they’re taken to our counting office for processing, prior to an offer being made. This can take anywhere from 3 – 28 days depending on the quantity of coin packages we receive at the time.